There’s a client at ExxonMobil – Anita Riddle — whom I respect and enjoy supporting. Even as an outsider, I can tell that she’s highly respected and for good reason. For years I’ve helped her and her people improve their presentations – their words and the PowerPoint visuals that bring them to life. Last fall, she invited me to Houston where I addressed an executive team focused on Women in Leadership. I shared some proven tips I’ve learned through the years on how to enhance any speaker’s presentation skills. 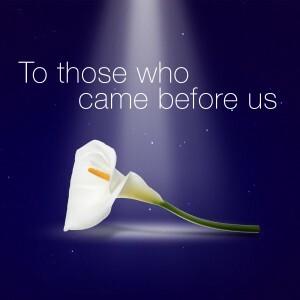 “To Those Who Came Before Us” honors those in everyone’s lives and personal histories whose hard work, achievements and sacrifices precede us and inspire daily efforts to attain our aspirations. For Jim, these include his parents – Athanasios and Caryl Papoulis. For Mike, it’s Sam and Lucille Greenly. Written during a time of uncertainty and danger, when military men and women are challenged to represent their nation with loyalty, courage and potential sacrifice, the song was also conceived to honor such bravery. The songwriters are humbled to partner with a remarkable organization, The Independence Fund, which works to move severely injured American military veterans toward greater independent mobility. This valiant non-profit organization helps enable the complete physical and emotional healing of severely injured Veterans … from supplying the disabled with all-terrain wheel chairs and other rehabilitation equipment for mobility again, to hyperbaric oxygen therapy for faster healing. The Independence Fund also partners with the caregivers of our warriors, helping them with the challenges associated with the devastating injuries of war. I never served in the military. 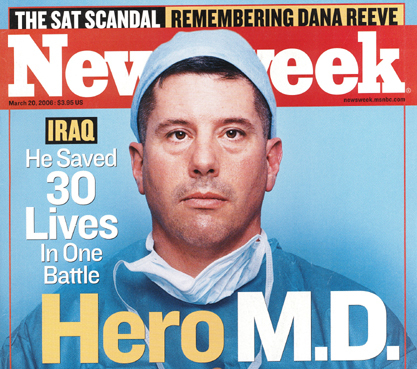 But it’s been an honor to write speeches for Dr. Richard Jadick, including a successful TED talk. 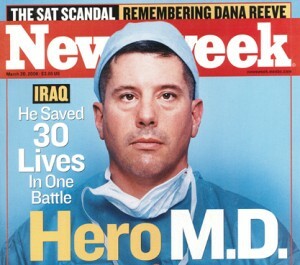 Dr. Jadick is a bona fide war hero and one of the founders of The Independence Fund. I had given Anita a copy of the song (now on iTunes, amazon, etc.) A few weeks ago, she told me how her 13-year-old daughter, Sierra Schmidt, used it in her 8th grade class at York Junior High School in Spring, Texas. Sierra had chosen my song for a Veteran’s Day project. It honored her uncle, Sergio Riddle, now retired from the military. This young lady created a video around the work that Jim and I had poured our hearts into … and she earned an “A” which makes me feel proud.